The U.S. Internal Revenue Service (IRS) is known for their undecided stance towards cryptocurrencies - other than the fact that they should be taxed, nothing else seems clear to U.S. residents that hold crypto assets. To answer six basic questions often asked by cryptocurrency holders in the US, crypto-focused research and advocacy institution Coin Center published a report with recommendations on what should be done to solve those problems. The IRS has published a guidance in early 2014 that has never been updated and does not answer the questions below. “Rather than targeting ‘unintentional tax cheats,’ we are hopeful that the IRS will adopt our common-sense recommendations,” writes James Foust, senior researcher at Coin Center, in a commentary accompanying the report. Question 1: How should taxpayers distinguish between convertible and non-convertible virtual currency, and what is the significance of that distinction for tax purposes? According to existing regulations, only “convertible virtual currency” is treated as property, and it is defined as “virtual currency that has an equivalent value in real currency, or that acts as a substitute for real currency” in the guidance, in Notice 2014-21. The guidance only concerns convertible virtual currency. Although Bitcoin is considered convertible, it is unclear how, by definition, one should categorize other types of digital assets, “such as those having attached voting or payment rights or other contractual rights or obligations, algorithmic stablecoins, airline rewards miles, and video game currencies for which there are official fiat markets - e.g., Second Life’s Linden Dollars - as well as video game currencies that are not meant to be traded for fiat but for which secondary black markets nevertheless exist - e.g., World of Warcraft Gold,” Coin Center points out. Coin Center’s report urges the IRS to first clarify whether the distinction between convertible and non-convertible assets makes a difference for tax purposes, and, in case it does, to clarify whether non-convertibles are taxed and how. Also, clearer guidance on how to separate the two should be issued. If the distinction is non-consequential, then it should be noted that Notice 2014-21, as well as any others, applies to both. Question 2: How should taxpayers calculate the fair market value of virtual currency? To calculate whether a transaction resulted in a gain or a loss to the taxpayer, they must take the fair market value (FMV) in USD realized from the exchange and subtract it from the adjusted basis in the property being sold; the basis is adjusted by various provisions of the tax code. Now, to the question: how does one calculate the FMV? The guidance states that, “If a virtual currency is listed on an exchange and the exchange rate is established by market supply and demand, the fair market value of the virtual currency is determined by converting the virtual currency into U.S. dollars (or into another real currency which in turn can be converted into U.S. dollars) at the exchange rate, in a reasonable manner that is consistently applied.” However, most cryptocurrencies are listed across several exchanges and their prices on each can differ - which one should they choose? 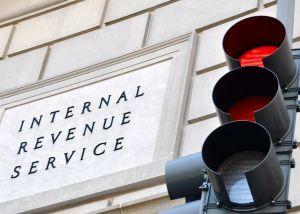 What does the IRS consider “a reasonable manner that is consistently applied”? Because of market volatility and often slow processing time at exchanges, which price should the taxpayer take into account? Coin Center proposes that taxpayers should be left to choose whether they use the exchange rate data from one exchange, averaged data from a set of exchanges, or a third-party exchange rate index, as long as they are consistent in their choice. However, they also note that the “reasonable manner consistently applied” should only be explained, and there would be no need for an additional solution. Question 3: How can taxpayers determine the cost basis of virtual currency dispositions? Buying Bitcoin differs from one day to another, let alone from one month or one quarter of the year to another. This means that the assets are also differently taxed, depending on when they were bought. The intuitive solution would be to keep track of every single transaction and calculate it based on the circumstances of the day they went through. Coin Center calls this task “incredibly onerous but technically feasible” for users that hold their own private keys - but for those using hosted wallets, it may be completely impossible. Stocks and some other securities have other, simpler ways of determining tax lot reliefs, but cryptocurrencies seem to not be eligible to use those. Coin Center recommends that the IRS changes this decision to include cryptocurrencies, letting taxpayers choose tax lot relief methods the same way other commonly traded financial instruments can, and/or adapting those to be applicable in the case of cryptocurrencies. Question 4: How should taxpayers substantiate the value of cryptocurrency donations? Charity donations in the US are deductible from the taxpayer’s income for that year, and cryptocurrencies are no exception. The deduction is usually capped at USD 500, while donations that warrant a deduction of USD 5,000 or more have to be appraised. There is currently no way to have cryptocurrencies become an exception from appraisal, due to the fact that they are not considered cash. In this case, the recommendation is to have the IRS provide guidance explicitly allowing taxpayers to use exchange data to value cryptocurrency donations - the same way they would calculate the FMV of their transactions - instead of going through a costly appraisal process. Question 5: How should taxpayers account for tokens they receive from a network fork or airdrop? Perhaps the most famous example of a hard fork was the creation of Bitcoin Cash in August 2017. Anyone who owned Bitcoin before the fork received an equivalent amount of Bitcoin Cash after it. This is the case with all forks that result in new chains being created. Airdrops are a similar feature: to each holder of a certain token, creators of a new token can choose to give them these new tokens corresponding to the amount of the original tokens they hold. The new tokens are not sold, but simply given away, to people who are known cryptocurrency users and already hold tokens, which are often in some way similar to the ones they are receiving now. In both cases, recipients may be completely unaware of the existence of the new tokens, especially if the fork or airdrop went by unnoticed and without media coverage. Even if they are aware, what if they do not sell or trade the new tokens? What if they never access them, regardless of being aware of them? The report suggests that the new tokens should not be taxed if the owner does not dispose of them. If they do, then the income should be recognized at the moment of disposition, not the moment of receipt or the owner becoming aware of their existence, as these would be too difficult to follow. However, if users hold their tokens at exchanges, anything the exchange decides to do with these new tokens should not affect the taxpayers unless it was done at their own direction. Question 6: How should taxpayers account for cryptocurrency when filing information returns? In Notice 2014-21, it is stated that crypto payments are subject to the same reporting requirements as “any other payments made in property.” Current regulations state that every taxpayer holding financial assets exceeding certain thresholds in foreign countries need to report this to a specific institution, according to circumstances. However, Coin Center claims, it is unclear whether holding cryptocurrencies on an exchange that is not located within the United States falls under this guideline or not. It is also not clear whether assets could be treated as foreign financial assets if a counterparty to the transaction is not a US person. As the solution to this problem, it is suggested that the IRS needs to clarify whether cryptocurrencies are subject to these reports or not - there would be no need for changing anything in the current regulations. Meanwhile, this week, Democratic senator Ron Wyden proposed a new version of capital gains tax, where investors would pay taxes on the assets they hold every year when those assets gain value, instead of just when they’re sold. Republican Sen. Pat Toomey of Pennsylvania has called it a “breathtakingly terrible idea,” according to a report by CNBC, and people seem to agree wholeheartedly. This new version of the tax could kill a lot of markets, but the cryptocurrency market is especially vulnerable due to high volatility. However, the idea would be incredibly hard to implement - but it would throw yet another wrench into the already confusing idea of cryptocurrency taxes. “This tax proposal [...] adds enormous complexity to a code that is already mind-numbingly incomprehensible,” writes Ron Insana, senior analyst at CNBC. Crypto Companies to the Rescue? At the beginning of this year, Goldman Sachs-backed cryptocurrency company Circle that is also a member of a lobbying group named Blockchain Association revealed that they’re working with the IRS on clarifying, and even setting up, the rules surrounding crypto-to-crypto payments taxation. “We believe there should be different tax treatment for crypto-to-crypto, especially for smaller payments oriented transactions. 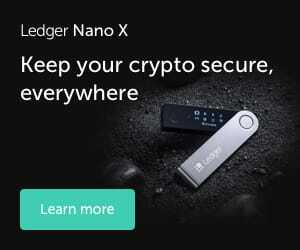 The leading government on this issue right now is France, where they are soon passing a law where there will be zero taxes on crypto-to-crypto transactions,” The company’s CEO, Jeremy Allaire, said at the time.